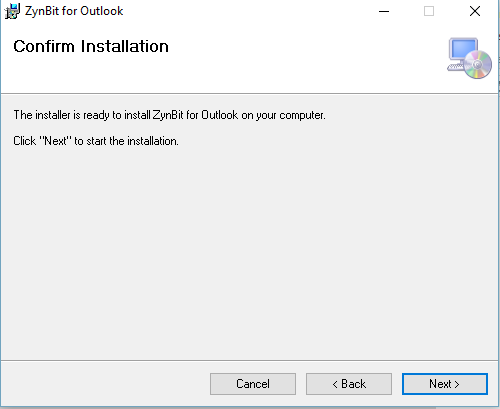 Why Isn’t the ZynBit Plugin Showing Up in Outlook? If the ZynBit icon used to show up but is no longer appearing in the toolbar, the most common reason is that Outlook disabled the plugin. To re-enable the plugin, use the following steps. Choose the Outlook File Menu on the far left side of your email window and look at the bottom of the main page for highlighted Slow and Disabled COM Add-Ins at the bottom of the list. When you select this item, you will be able to set Zynbit to be Always Enabled. Then restart Outlook. Inactive Application Add-ins Lists the add-ins that are present on your computer but are not currently loaded. Select the Add-in type (Inactive or Disabled) in the Manage box and then click Go. 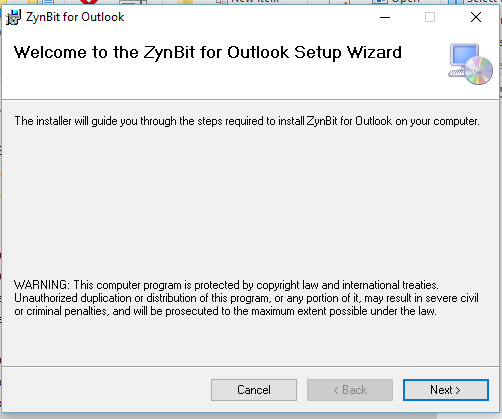 Select the check box for ZynBit and then click OK. If the Add-in is disabled, the you must first enable it to be Inactive and then repeat the cycle so that the Add-in shows up in the Active Applications Add-ins area. If the plugin was installed but has never been visible in the tool bar, try re-installing but choose the install option for JUST ME. 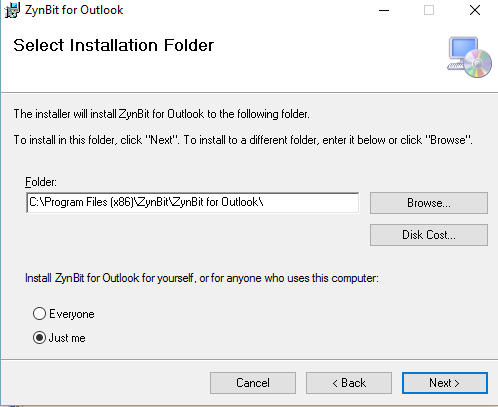 The first step to take when troubleshooting the ZynBit installation is to uninstall and reinstall using the option “Just Me” instead of “All Users” during the installation. See below for instructions to uninstall the software, based on your version of Windows. When reinstalling, three screens will appear. The second screen shows the option “Just Me” selected in the lower left part of the screen.